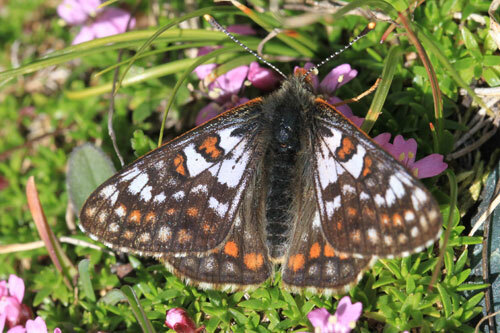 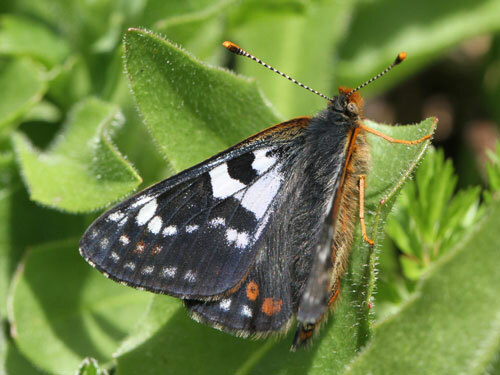 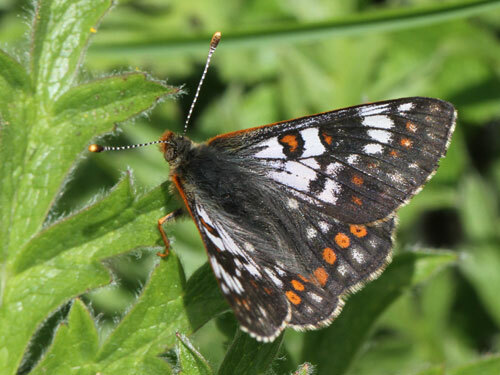 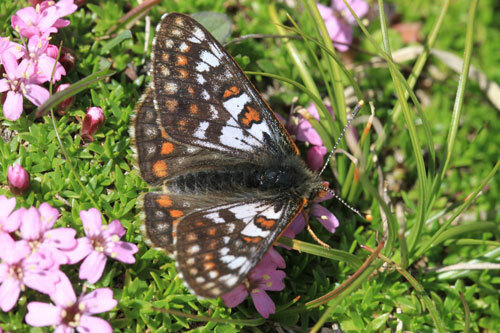 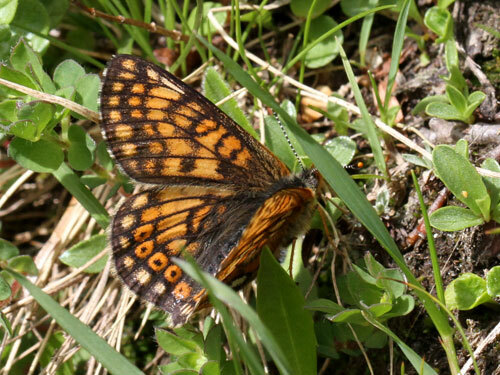 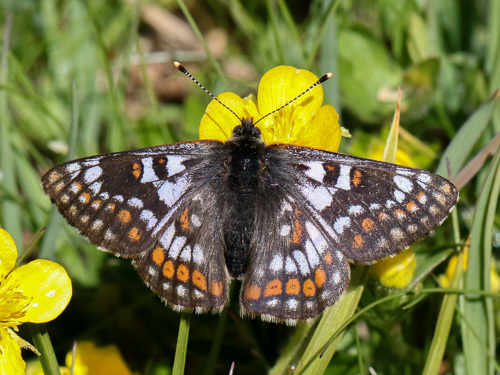 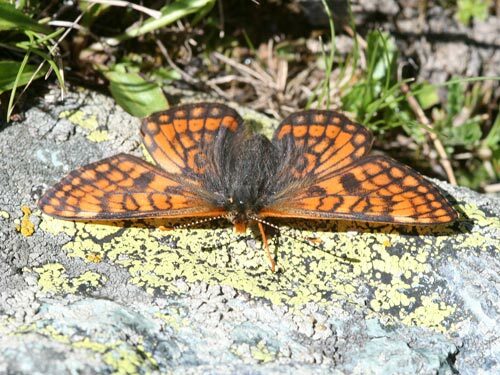 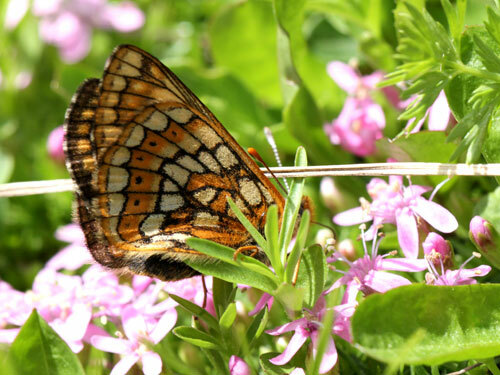 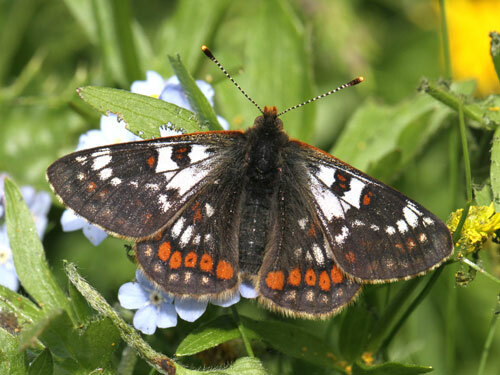 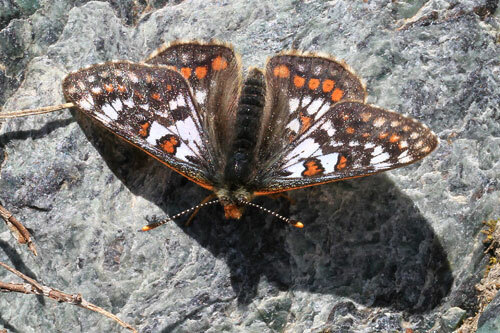 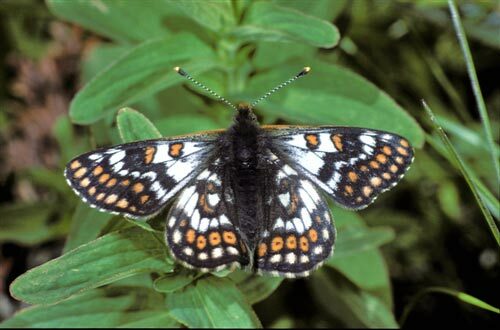 A butterfly of high alpine slopes. 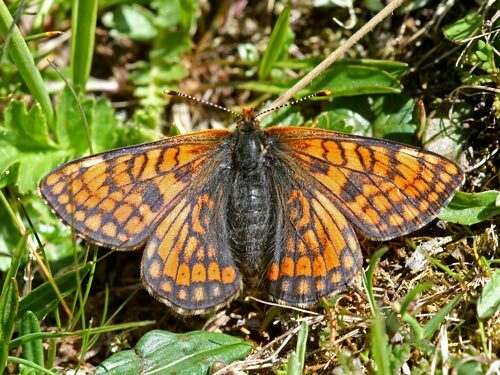 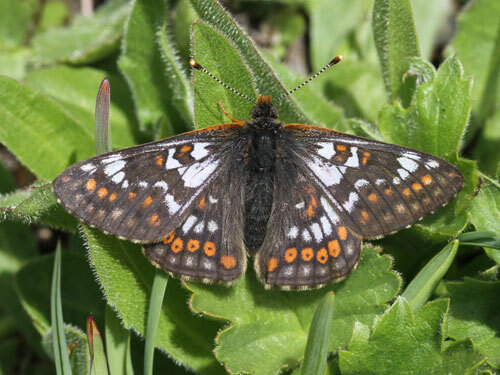 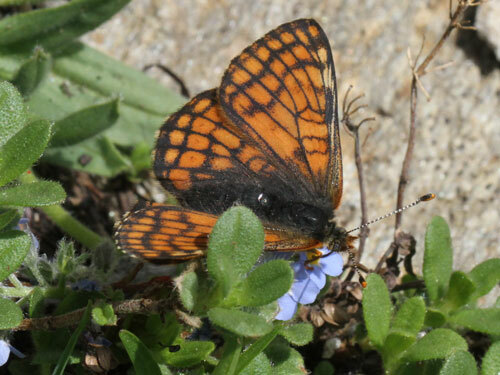 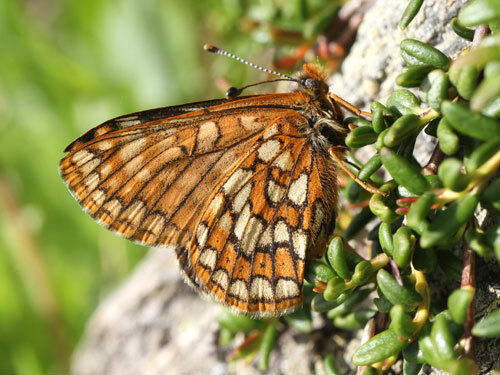 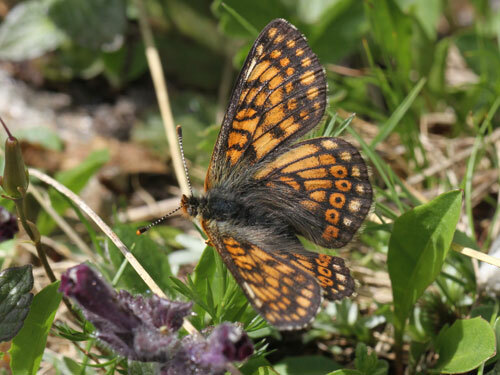 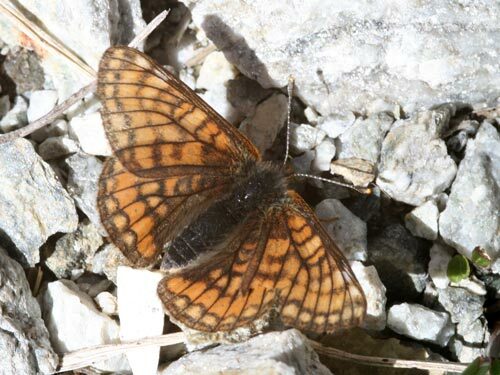 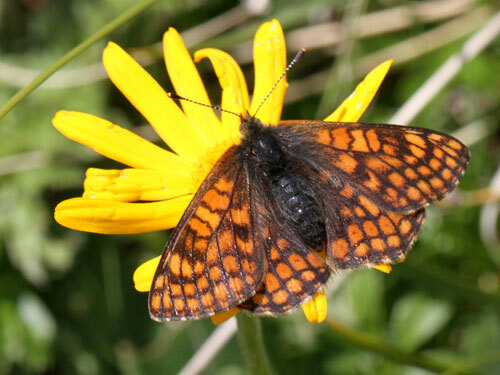 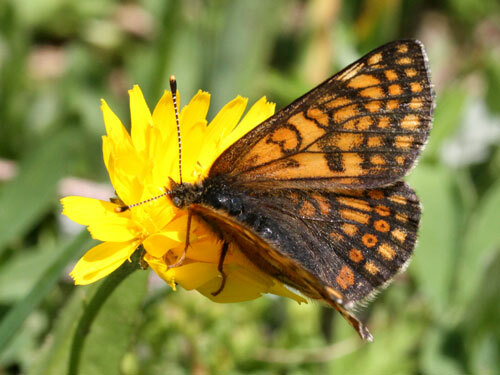 The males are particularly spectacular with the typical orange ground colour of the fritillaries replaced by brilliant white. 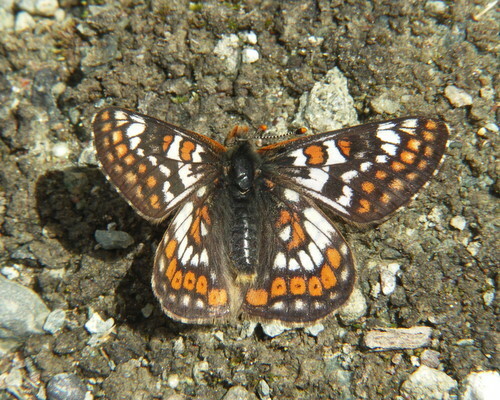 Usually only found in low numbers. 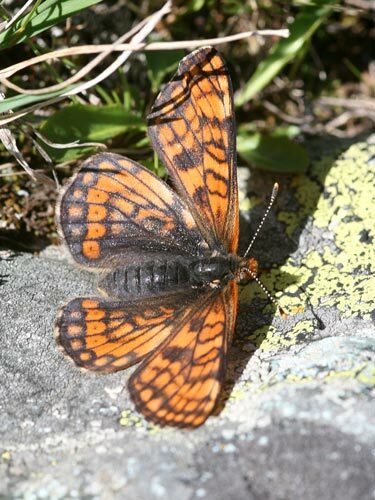 Distribution & Flight: High altitudes in the Alps and also the Pirin Mts of Bulgaria. 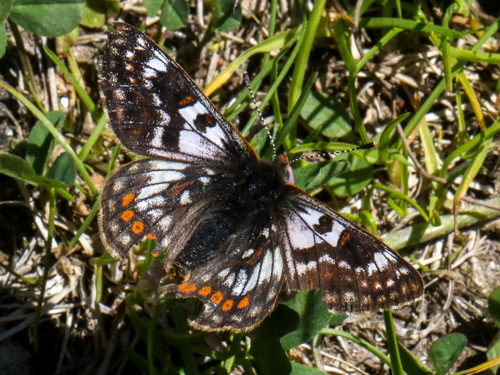 Single brooded in July. 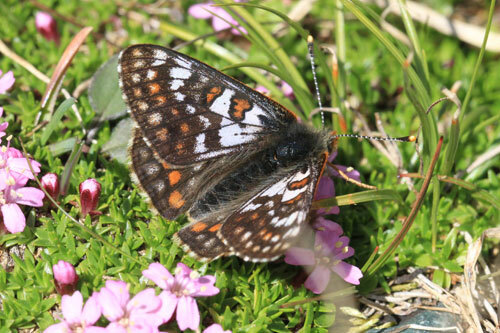 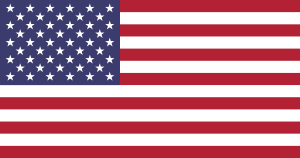 Habitat & Behaviour: Open grassy slopes often with low juniper bushes.